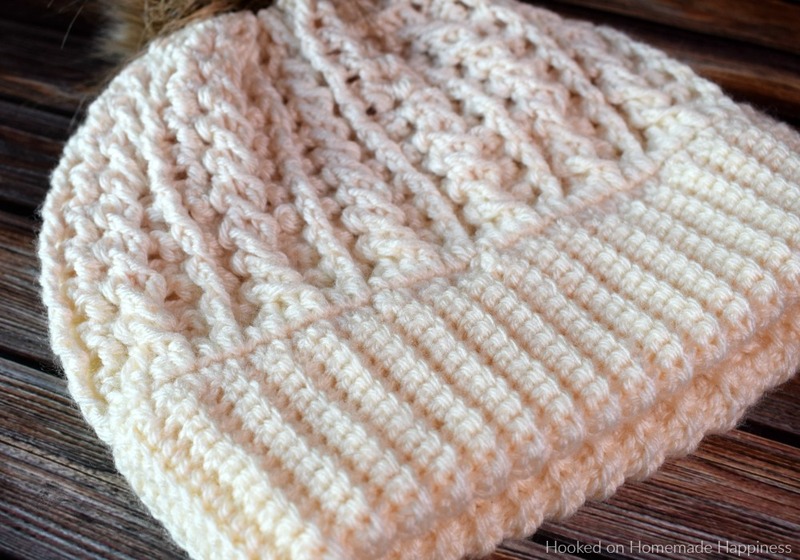 The Double Brim Cable Crochet Beanie Pattern is full of beautiful texture. 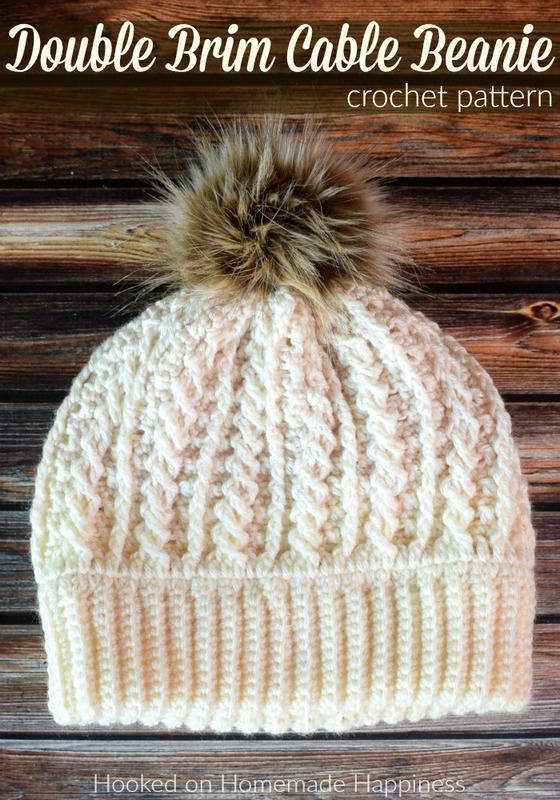 The double brim makes it extra warm around the ears. 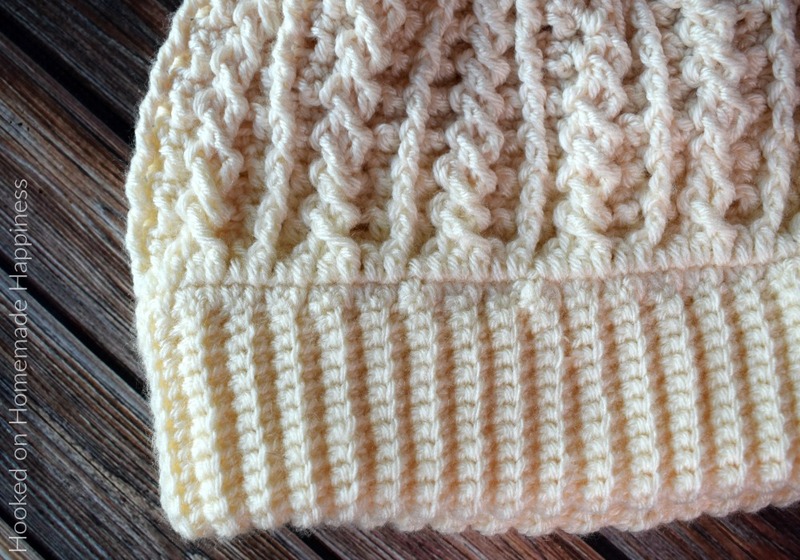 Because of the double brim and the cables, this beanie uses quite a bit of yarn. 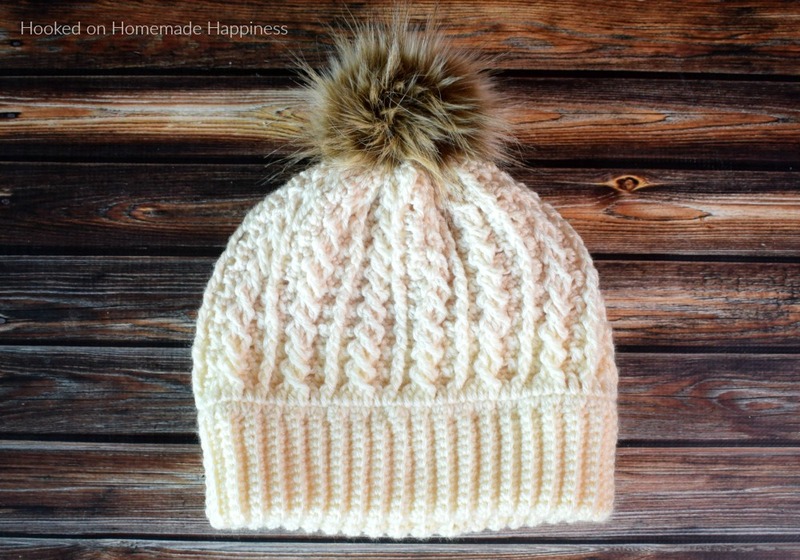 Definitely more than your typical hat. 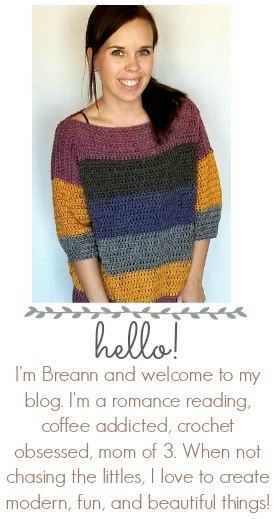 You’ll need to grab 2 skeins! Turn the brim so it’s horizontal. Fold in half. Now you are going to work around the brim in rounds. 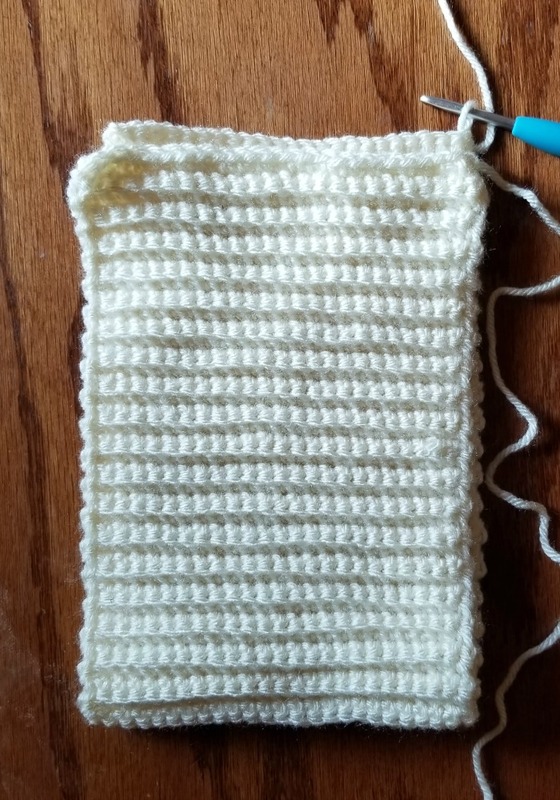 Use the long end to weave in and out of the top loops of the last row. Pull end tight to cinch closed. Sew the top closed. Weave in the ends. I loved it. I’m weaving and it’s beautiful. Although it is not cold enough in Brazil, I can not help doing something so beautiful. Love the pattern. 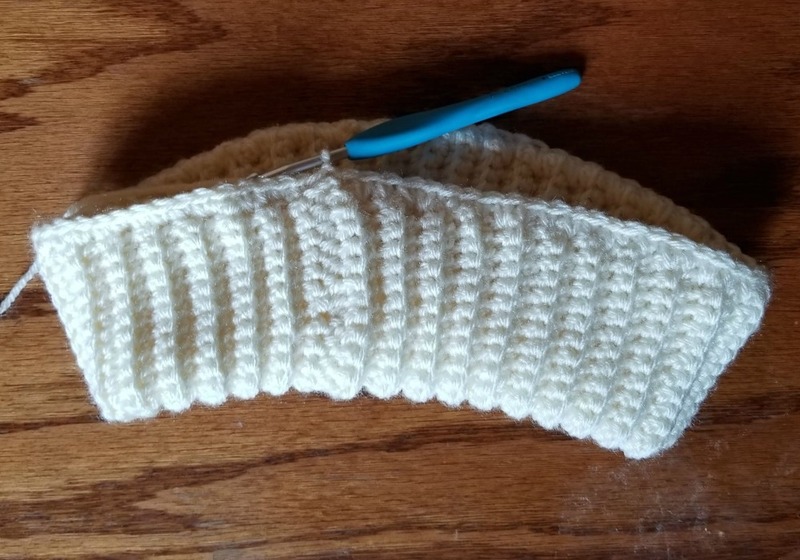 Though, I’m having difficulty with after row 4. Would find it very helpful if your tutorial included rows 5 & 6. 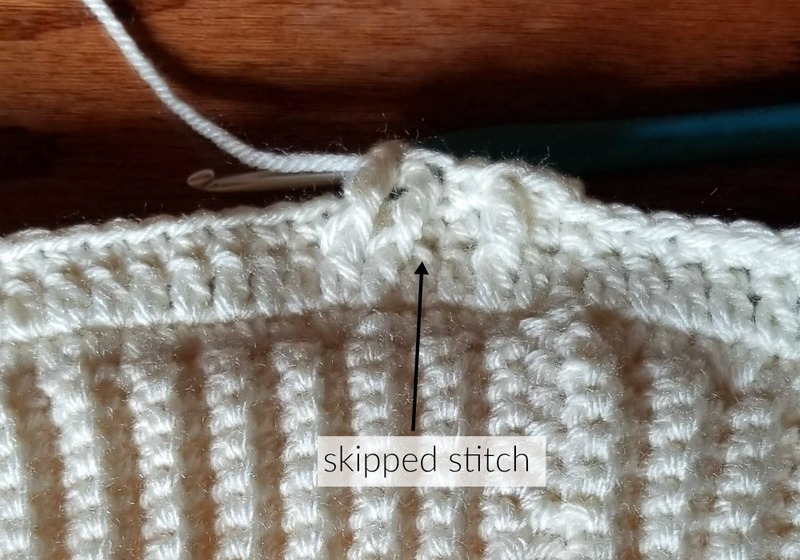 As it was I had to watch another tutorial in how to identify the post stitches for the FPTR. Also confusion as to whether you mean to continue cables in previous row dc (should this be FPTR in previous row FPTR or SC) after row 4 FPTR. 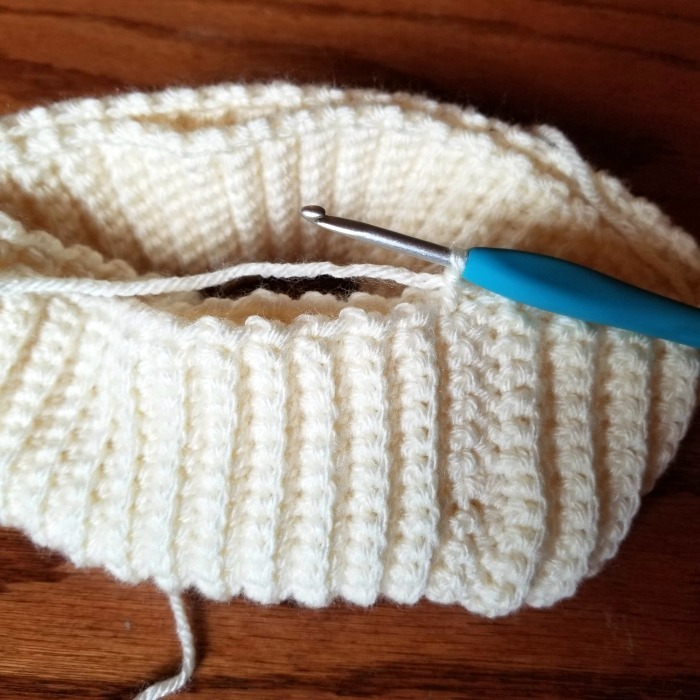 im sure you can tell this is my first time crocheting cables. 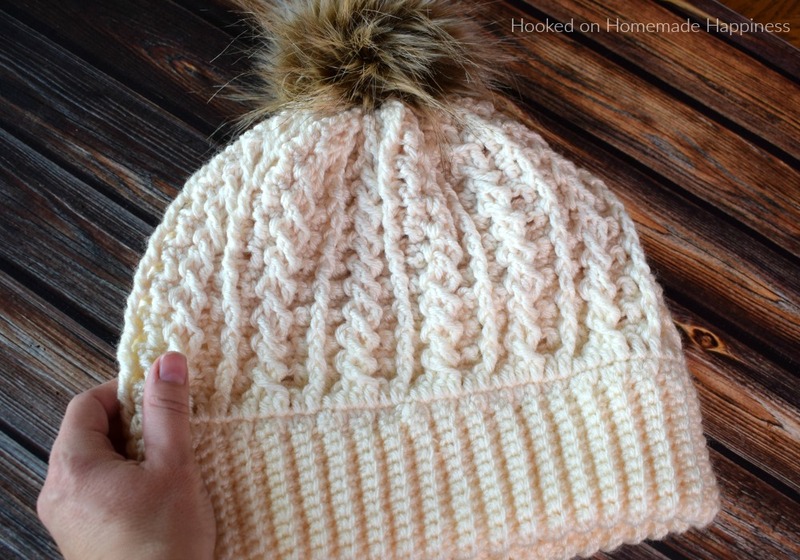 Do you have a You Tube video for the Double Brim Cable Beanie? Hi! All cables should be worked in 1 row before the previous row. Around either a fpdc or fptr. Hope that helps! No, I don’t have a video. I also have a problem with row 4. I chained 2 and then it says dc (do I dc in the same place as the chain 2 or do I dc in the next sc?) it then says fptr round dc below previous round, dc in next, (meaning dc in the next single crochet?) Stumped and I purchased your pattern. 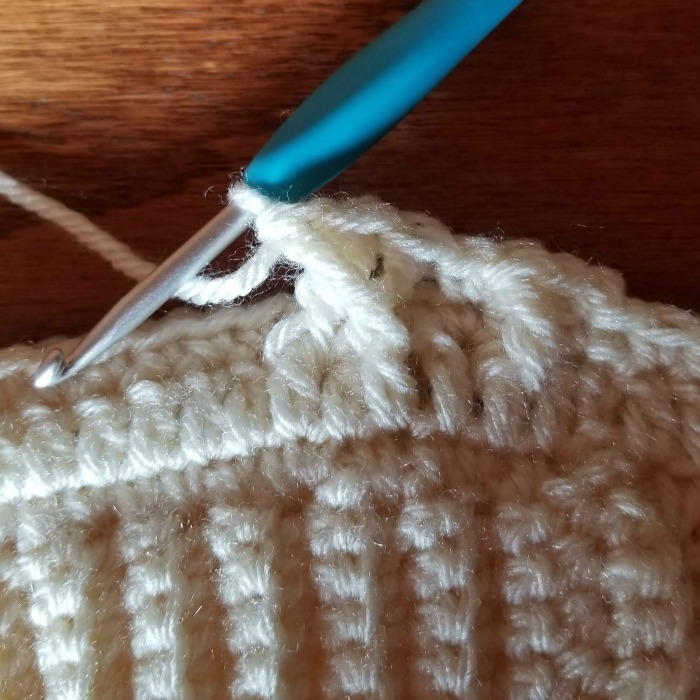 Because the ch 2 does not count as a stitch, the first dc will be in the first stitch. After you fptr you will dc in the next, which is the sc. Sorry you’re having trouble! Sorry for round 4 it’s states ch2, then dc, but from the pictures it looks like a sc, then fptr, then sc, then 2 fptr.